While one of the most obvious (and immediate) benefits of yoga is stress relief, there’s no denying that it can sometimes be challenging to find your Zen in a cramped city or strip mall studio illuminated by battery-operated candles. With that said, it’s no surprise that consumers spend $27 billion dollars on yoga retreats each year. And, why not? According to a recent study published by the Society for Chaos Theory (seriously — check it out), it’s been proven that a change of scenery, and spending time outdoors, is shown to boost moods and improve mental well-being. Now, you probably didn’t need a study to prove that taking a vacation has a positive effect on the spirit, but it sure does help to have a few legitimate statistics in the back of your mind every time you feel guilty about submitting a time-off request. So, to inspire you on your next journey to inner peace, here are seven amazing yoga retreats that are guaranteed to center even the most off-balanced yogi. Photo courtesy of The W Retreat & Spa on Vieques Island. Located just eight short miles off the coast of Puerto Rico, this stunning retreat on Vieques Island—listed as one of the best hotels in the world by Travel & Leisure—is easily accessible via a 20-minute flight from San Juan International Airport. The property recently launched a new three- or five-day program created by Tara Stiles, an American model-turned-yoga-instructor and founder of Strala Yoga in New York City. 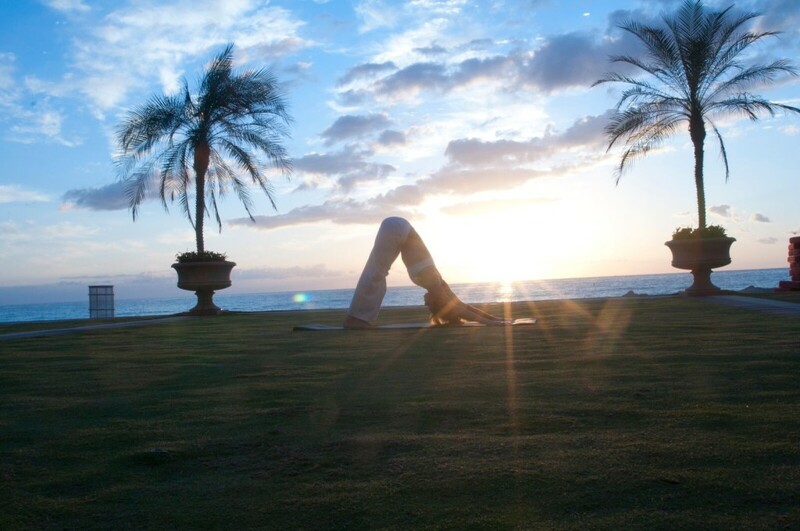 The ENERGIZE retreat includes twice-daily yoga sessions on Paradise Edge-cliff, overlooking the Atlantic Ocean, at sunrise and sunset; nature escapes; made-to-order spa treatments; and cooking classes. The W Retreat & Spa on Vieques Island, State Road 200 KM 3.2 (Vieques Island, Puerto Rico); 787-741-4100. This specialty lunch cruise (starting at $51.90 per person) from Spirit of New York is perfect for those looking for a serious lunch break. The two-hour jaunt includes a 45-minute yoga class, taught by Rae Broderick from Strala yoga studio, complimentary yoga mats and gift bags (provided by Athleta); and a light lunch consisting of healthy fare such as a spinach and kale salad and roasted tilapia. Spirit of New York at Chelsea Piers, 62 Chelsea Piers (New York, New York); 866-483-3866. Photo courtesy of Sandos Caracol. This eco resort provides guests with the opportunity to fall off the grid without giving up any of life’s little luxuries. 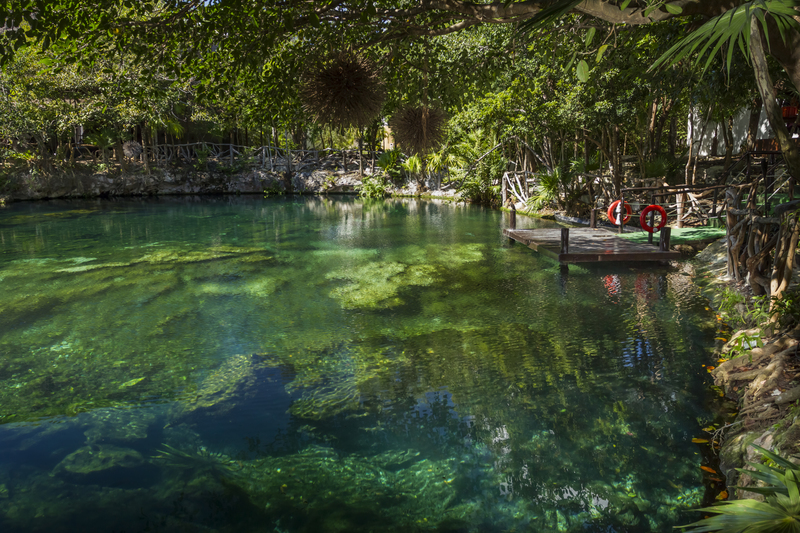 The complimentary yoga classes within the lush environs of the Mayan Jungle are among the laundry list of top-notch activities available at this all-inclusive paradise. 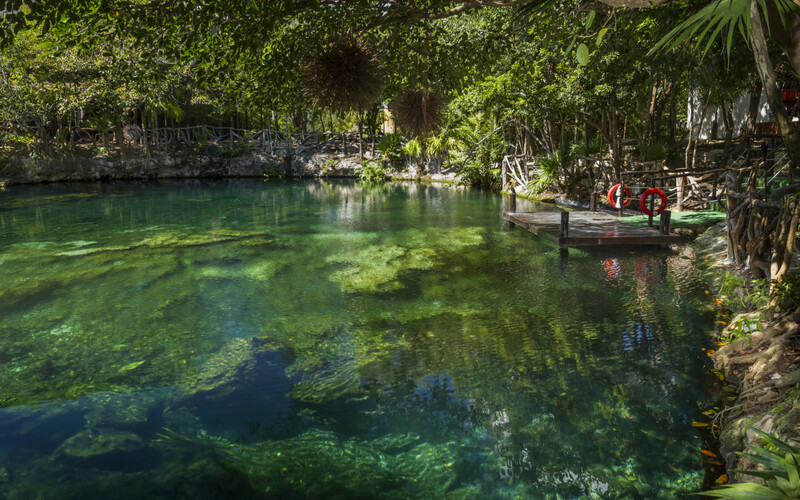 Sandos Caracol Eco Experience Resort, Carretera Puerto Juarez-Chetumal Km. 295 (Playa Del Carmen, Mexico); +52 984 873 4444. Photo courtesy of Hilton Hawaiian Village. 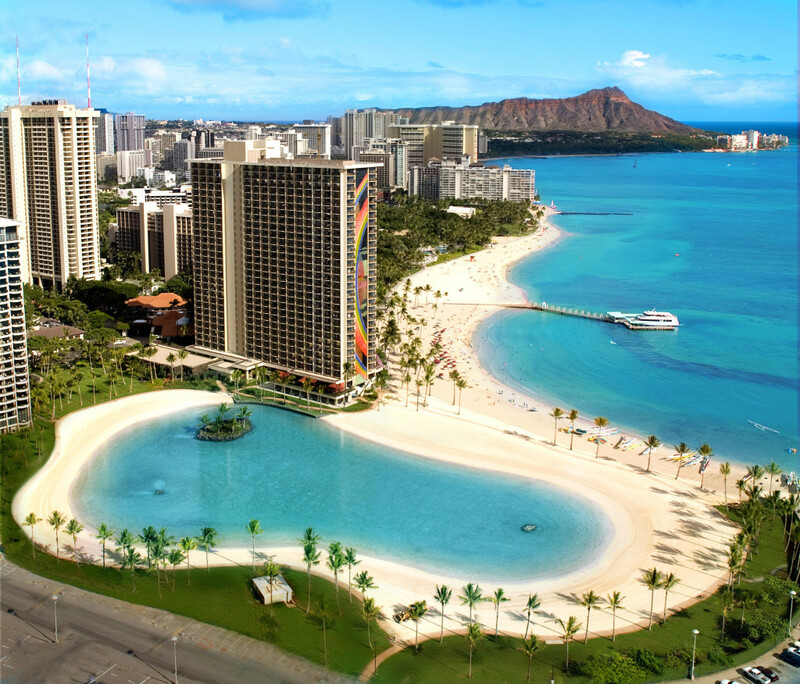 Boasting stunning views of the Pacific Ocean and Diamond Head Crater, Waikiki’s only beachfront resort features a multitude of outdoor yoga activities. Guests can try their hand at SUP (stand-up paddle board) yoga at the world-famous Duke Kahanamoku Lagoon, named after Hawaii’s legendary Ambassador of Aloha: surfer and Olympic swimming champion Duke Kahanamoku. Hilton Hawaiian Village, 2005 Kalia Road (Honolulu, Hawaii); 808-949-4321. Photo courtesy of Allison Usavage. Looking for a truly unique yoga experience? At the beginning of each season, FLCH hosts a single yoga session that incorporates a somatic exercise to connect participants with the unique seasonal rhythms of the farm, as well as their asana practice. The workshop is designed to explore the connection between the body-mind and the farm’s ecology. Finger Lakes Cider House, 4017 Hickok Road (Interlaken, New York); 607-351-3313. Photo courtesy of Acqualina Resort & Spa. This shiny Miami jewel has a yoga program to live up to the hotel’s five-star status. YOGiiZa’s team of seasoned yoginis and wellness gurus provide a wide array of personalized programs, including yoga sessions and health and wellness coaching, against the backdrop of the Atlantic Ocean. Acqualina Resort & Spa, 17875 Collins Avenue (Sunny Isles Beach, Florida); 305-918-8000. Photo courtesy of Montauk Yacht Club. 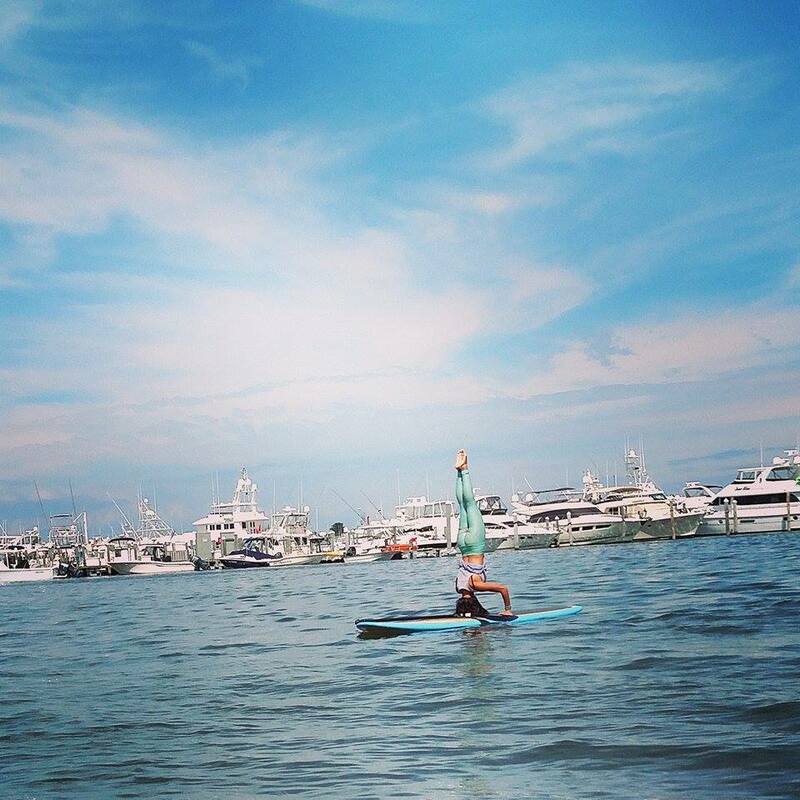 Along with a multitude of water sports, private yacht cruises and fishing excursions, this historic Hamptons hideaway offers beachside and on-water yoga with the breathtaking marina as the backdrop. Yoga mats, props and a complimentary Zico Coconut Water are provided to all participants. Montauk Yacht Club Resort & Marina, 32 Star Island Road (Montauk, New York); 631-668-3100.